How is renal osteodystrophy diagnosed? Renal osteodystrophy is a bone disease that occurs when your kidneys fail to maintain proper levels of calcium and phosphorus in the blood. It's common in people with kidney disease and affects most dialysis patients. Renal osteodystrophy is most serious in children because the condition slows bone growth and causes deformities and short stature. Symptoms of renal osteodystrophy aren't usually seen in adults until they have been on dialysis for several years. If left untreated, bones thin and weaken, and symptoms include bone and joint pain, and an increased risk of fractures. In a patient with kidney failure, the kidneys stop making calcitriol, a form of vitamin D. The body then can't absorb calcium from food and starts removing it from the bones. Treatment for renal osteodystrophy includes the drug cinacalcet hydrochloride (Sensipar), and synthetic calcitriol and calcium supplements. Proper diet and exercise can also help. The medical term "renal" describes things related to the kidneys. Renal osteodystrophy is a bone disease that occurs when your kidneys fail to maintain the proper levels of calcium and phosphorus in your blood. It's a common problem in people with kidney disease and affects most dialysis patients. Renal osteodystrophy is most serious in children because their bones are still growing. The condition slows bone growth and causes deformities. One such deformity occurs when the legs bend inward toward each other or outward away from each other; this deformity is referred to as "renal rickets." Another important consequence is short stature. Symptoms can be seen in growing children with renal disease even before they start dialysis. The bone changes from renal osteodystrophy can begin many years before symptoms appear in adults with kidney disease. For this reason, it's called the "silent crippler." The symptoms of renal osteodystrophy aren't usually seen in adults until they have been on dialysis for several years. Older patients and women who have gone through menopause are at greater risk for this disease because they're already vulnerable to osteoporosis, another bone disease, even without kidney disease. If left untreated, the bones gradually become thin and weak, and a person with renal osteodystrophy may begin to feel bone and joint pain. There's also an increased risk of bone fractures. In healthy adults, bone tissue is continually being remodeled and rebuilt. The kidneys play an important role in maintaining healthy bone mass and structure because one of their jobs is to balance calcium and phosphorus levels in the blood. Calcium is a mineral that builds and strengthens bones. It's found in many foods, particularly milk and other dairy products. If calcium levels in the blood become too low, four small glands in the neck called the parathyroid glands release a hormone called parathyroid hormone (PTH). This hormone draws calcium from the bones to raise blood calcium levels. Too much PTH in the blood will remove too much calcium from the bones; over time, the constant removal of calcium weakens the bones. Phosphorus, which is found in most foods, also helps regulate calcium levels in the bones. Healthy kidneys remove excess phosphorus from the blood. When the kidneys stop working normally, phosphorus levels in the blood can become too high, leading to lower levels of calcium in the blood and resulting in the loss of calcium from the bones. 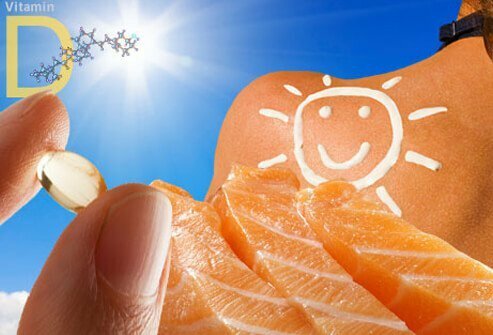 Healthy kidneys produce calcitriol, a form of vitamin D, to help the body absorb dietary calcium into the blood and the bones. If calcitriol levels drop too low, PTH levels increase, and calcium is removed from the bones. Calcitriol and PTH work together to keep calcium balance normal and bones healthy. In a patient with kidney failure, the kidneys stop making calcitriol. The body then can't absorb calcium from food and starts removing it from the bones. To diagnose renal osteodystrophy, your doctor may take a sample of your blood to measure levels of calcium, phosphorus, PTH, and calcitriol. The doctor may perform a bone biopsy to see how dense your bones are. A bone biopsy is done under local anesthesia and involves removing a small sample of bone from the hip and analyzing it under a microscope. Determining the cause of renal osteodystrophy helps the doctor decide on a course of treatment. Controlling PTH levels prevents calcium from being withdrawn from the bones. Usually, overactive parathyroid glands are controllable with a change in diet, dialysis treatment, or medication. The drug cinacalcet hydrochloride (Sensipar), approved by the Food and Drug Administration in 2004, lowers PTH levels by imitating calcium. If PTH levels can't be controlled, the parathyroid glands may need to be removed surgically. If your kidneys aren't making adequate amounts of calcitriol, you can take synthetic calcitriol as a pill or in an injectable form. Your doctor may prescribe a calcium supplement in addition to calcitriol. Renal osteodystrophy can also be treated with changes in diet. Reducing dietary intake of phosphorus is one of the most important steps in preventing bone disease. Almost all foods contain phosphorus, but it's especially high in milk, cheese, dried beans, peas, nuts, and peanut butter. Limit drinks such as cocoa, dark sodas, and beer. Often, medications such as calcium carbonate (Tums), calcium acetate (PhosLo), sevelamer hydrochloride (Renagel), or lanthanum carbonate (Fosrenol) are prescribed with meals and snacks to bind phosphorus in the bowel. These decrease the absorption of phosphorus into the blood. Be sure your phosphate binder is aluminum-free because aluminum can be toxic and cause anemia. A renal dietitian can help develop a dietary plan to control phosphorus levels in the blood. Exercise has been found to increase bone strength in some patients. It's important, however, to consult a doctor or health care professional before beginning any exercise program. A good treatment program, including proper attention to dialysis, diet, and medications, can improve your body's ability to repair bones damaged by renal osteodystrophy. Calcitriol (Rocaltrol, Calcijex is a discontinued brand) is a medication prescribed to treat low levels of calcium in people with kidney disease, rickets, and familial hypophosphatemia. Side effects, drug interactions, dosing, storage, and pregnancy and breastfeeding information should be reviewed prior to taking any medication. Rickets is caused by a deficiency of vitamin D, calcium, or phosphate. Infants and children who are exclusively breastfed, have dark skin, and infants born to mothers who are vitamin D deficient are most at risk for developing rickets. Symptoms and signs of rickets include bone pain, delayed teeth formation, short stature, skeletal deformities (bowlegs, abnormally shaped skull), and decreased muscle strength. Treatment of rickets depends upon the cause, but the first step usually involves correcting any abnormal levels of calcium, phosphate, or vitamin D with supplements.